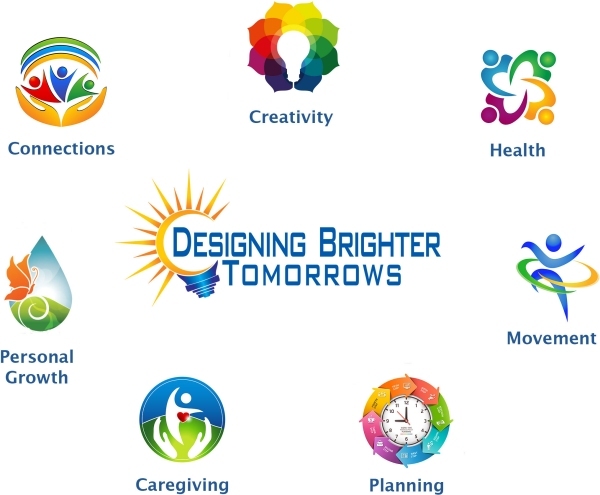 Learn more about Designing Brighter Tomorrows got started. This page is about “thank you’s” to special organizations that have helped us. We focus on seven areas that are each important in every life (see graphic below). Our aim is to have information available in many ways. Keep coming back to visit us and see the new articles, videos, audio files, and graphic presentations that are available in these seven different areas. We will keep adding new topics. There will be additional authorities in a number of areas who will be contributing their expertise to this website, so keep an eye out for what is new. Often, topics will relate to more than one of these areas.